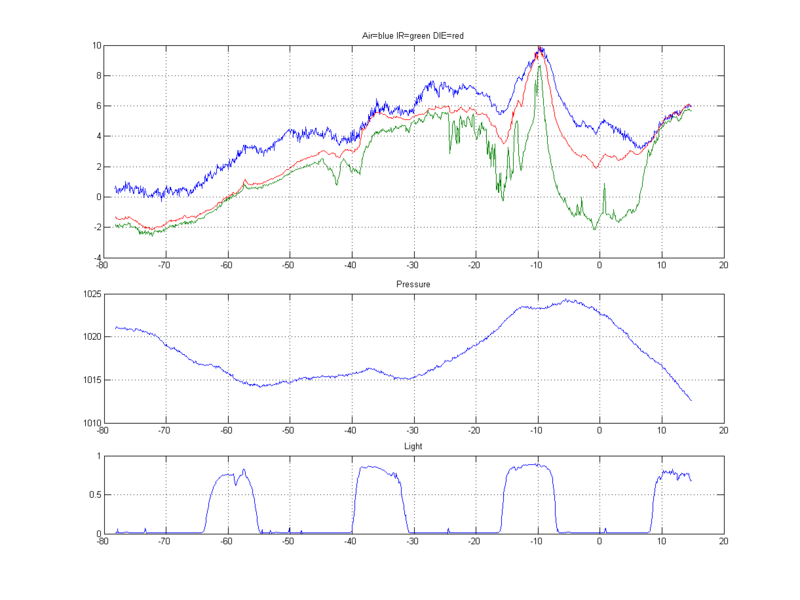 Top panel: cloud detector output (red en green) and outdoor temperature above a window (blue), middle panel: airpressure, bottom panel: light curve. There is a little bit of everything in the upper plot obtained from the clouddetector. Up to 50 hours ago we had the November December grey, around -45 to -38 there were some openings in the cloud deck, and soon it closed again until -25 hours when occasionally there were cloud bands until -10 hours. Then we had blue skies until 8 o’çlock this morning when the rains started. This is a nice website to consider, it shows the results of radiosonde measurements at the KNMI in de Bilt.